With these awards, we honor the people who give generously of their time and expertise to serve the Berkeley community. Volunteers rally classmates during a reunion year, raise money for scholarships, make new connections possible at special events, and much more. Join us as we celebrate the steadfast dedication of these remarkable volunteers, who keep Berkeley’s light shining brightly. Awards will be presented during Reunion and Parents Weekend, on Friday, October 12 from 5–7 p.m.
Celebrates a current student or young alumnus/a who graduated within the last 10 years and who has demonstrated exceptional achievement, leadership potential, and service to the campus and community. Acknowledges alumni and friends who have demonstrated outstanding volunteer leadership and accomplishments in support of the university’s philanthropic and outreach efforts. 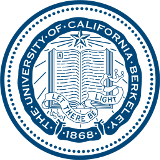 Commends a volunteer group or alumni chapter chartered by the Cal Alumni Association that has maintained a meaningful relationship to Berkeley while successfully engaging its members through events, programs, and philanthropic opportunities.